Bob Marley was a Jamaican reggae singer-songwriter, musician, and guitarist who found worldwide fame and recognition. Born Robert Nesta Marley on 6 February 1945 in Saint Ann, Jamaica, his mother, Cedella Booker, was deserted by his white Jamaican husband, Norval Sinclair Marley. He was mostly raised in Nine Miles village. Marley attended Stepney Primary and Junior High School and later moved to the poorest shanty town area of Kingston, where he worked as a welder. When he was only was only 10 years old, Marley’s father died of a heart attack. Bob Marley formed The Wailing Wailers in 1963, but found limited success. He returned to welding for the next few years. Success, however, came with the hit single “Simmer Down”, which reached Jamaican #1 in 1964, selling an estimated 70,000 copies. By the 1970s, Marley had become a Rastafarian and his band began to play reggae music. A number of their albums did very well at the charts, including Exodus (1977), Kaya (1978) and Uprising (1980). By this time, Marley had become an international sensation. He decided to leave Jamaica after he survived a assassination attempt in 1976. He came back in Jamaica, though, two years later in 1978 to organize the One Peace Love Concert. With the aid of this event, Marley successfully persuaded the Prime Minister, Edward Seaga, and the opposition leader, Michael Manley, to join hands against the gangland wars which were destroying the country. Unfortunately, Bob Marley died of cancer at the early age of 36 in May 1981. His body was laid to rest inside a tomb at Nine Miles in St Ann’s. The place has become a site of pilgrimage visited by thousands of fans from all over the world. The small house and the tomb itself are ornamented with memorabilia from Marley’s life. 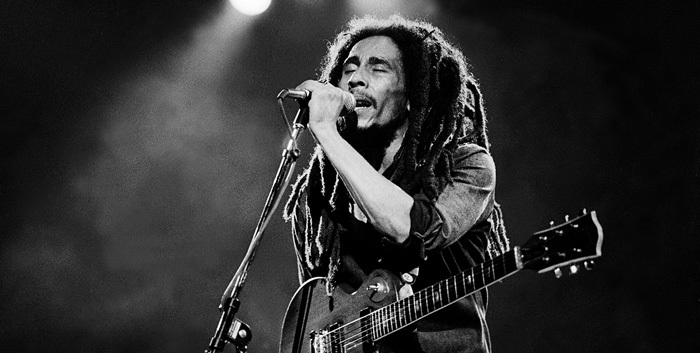 One of the world’s best-selling artists of all time, Marley has sold more than 75 million records to date. Bob Marley received Jamaica’s third highest honour, the Jamaican Order of Merit, in 1978. He was inducted into the Rock and Roll Hall of Fame in 1994. Marley was posthumously honored with a star on the Hollywood Walk of Fame and Grammy Lifetime Achievement Award in 2001. Marley married Rita Anderson in 1966. He had a number of children; three with his wife Rita and two adopted from Rita’s previous relationships, making a total of eleven with different women.